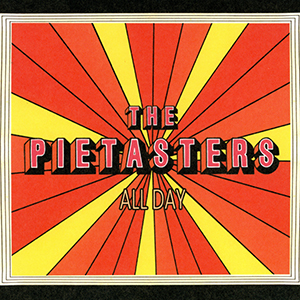 If you're a fan of fun, you're probably a Pietasters fan. These guys have been a band that puts smiles on the faces of all who come see them since the early 1990's. Their live shows are legendary, and their recordings have always been attempts to capture that energy. All Day Succeeds at just that. The Pietasters can still rock any crowd, but they have also been showing off their ability to write and perform tight, clever songs in very traditional Reggae and Soul styles, with some dead-on 60's-style Ska thrown in. The energy is still there, just in a different way. The 'Tasters' energy has transformed from being Punky, urgent, Soul/Ska/Rock to a more mature throwback to the classic 1960's styles they love. This CD is fun to listen to, and easy to enjoy!